What's On in March at #LobbyLive at Watford Colosseum? Watford Colosseum has a busy month ahead. Brendan Cole, The Philharmonia Orchestra and Lulu are just some of the big names playing in March. But what you may not have heard is that before these performances, #LobbyLive takes over the Colosseum's Grand Lobby. 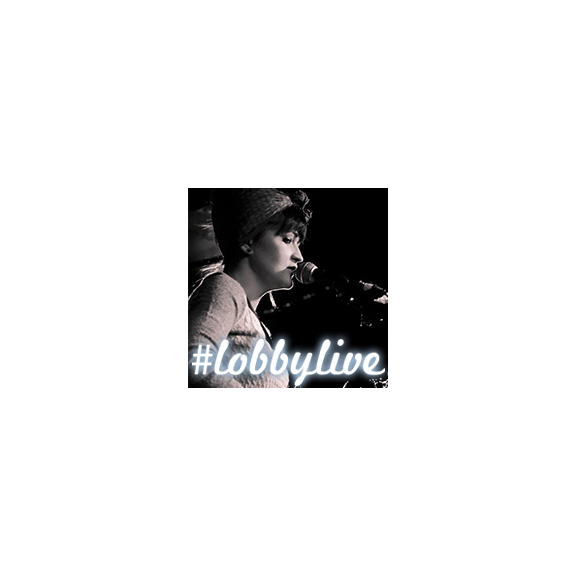 #LobbyLive is all about showcasing the best local and up-and-coming artists. Visitors will enjoy an eclectic mix of musical genres and best of all, it's completely free! So what's on in March at #LobbyLive? Before Brendan Cole's 'A Night to Remember' is Dial Up. Hosted by vocalist Alex Williams, Dial Up is a jazz and arts collective that provides a platform for amateurs, semi-professionals and professionals to share their creativity, from singing to playing an instrument; poetry to drama and dance. Dial Up at #LobbyLive at Watford Colosseum will be performing from 6:40pm on March 4th 2016. Click here to find out more. The following day is the turn of the Philharmonia Orchestra, but in the Grand Lobby from 6:40pm, soprano Lucy Black will be bringing classical and musical theatre to the masses. Lucy is an experienced choral singer, who has sung at Westminster Abbey and The Royal Albert Hall. So if you want a bit of culture on a Saturday night for free, we'll see you there! The Chicago Blues Brothers will be at Watford Colosseum on Thursday 10th March. And before the performance begins, #LobbyLive presents Colvex. This Watford based band plays a thrilling mix of original music, ranging from jazz and swing to heavy rock and alternative! Colvex will be playing in the Grand Lobby from 6:30pm. More information can be found here. Before Psychic Sally: Call Me Psychic, Gary Holt and Karl Whitworth will be performing a #LobbyLive session. This strong musical partnership began in the 1980s, when Gary and Karl, along with Karl's brothers had a million-selling, number 1 album and number 1 singles in Japan. Catch the boys from 7:10pm on Friday 18th March 2016. Click here for further details. Join #LobbyLive before Collabro from 6:30pm on Tuesday 22nd March to watch Josh Robinson, a bright new talent from Hemel Hempstead. He is already in high demand and is currently in the process of recording his first E.P. And finally for March 2016, Lulu will be singing at Watford Colosseum on Friday 25th March. But before that, #LobbyLive presents Minnie Birch – a quirky, fresh and extremely talented vocalist who has already been featured on Radio 1 and supported Joan Armatrading on tour. Minnie Birch will be in the Grand Lobby from 7pm. Please click here for more information. Click here to find out more about #LobbyLive at Watford Colosseum.